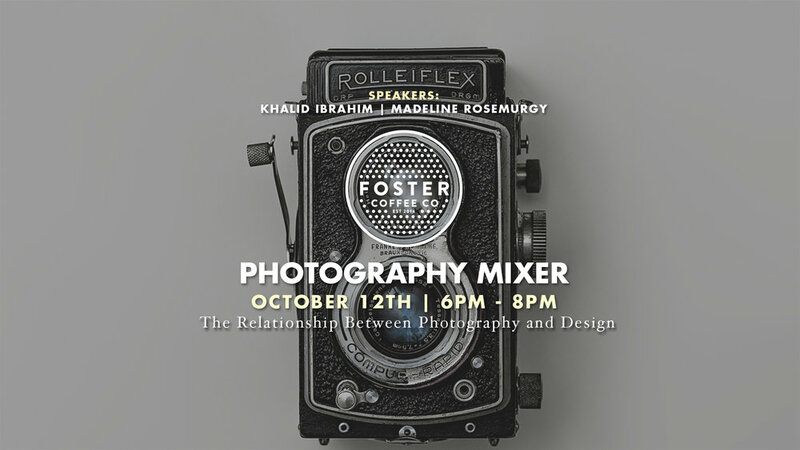 Join the community of photographers and videographers at the Foster Photography Mixer. Learn from award winning industry professionals and connect with other like minded people in your field of interest and / or profession. The night will feature a time for networking, a talk by our guest speakers, and a reveal of their latest collaboration consisting of twelve pieces of original artwork, followed by a Q & A. Professional creator, designer, and communicator from the mitten state. Madeline enjoys simple design and warm color palletes. Her work experience includes a diverse number of clients and organizations including: Eli and Edythe Broad Art Museum at MSU, River City MRKT, and New Britain Museum of American Art.